“Been watching you.” He let the smoke out of his mouth as he spoke. In the international market, they call it sweet crude – crude oil with low sulfur content. It flows in the oil rich Niger Delta region and is targeted by oil thieves, who siphon it from the pipelines and sell to the highest bidder. Crude oil black market is staked with blood and immense wealth, encircling rich barons in international cities and savage militants down at the Niger Delta creeks. This is the world Bruce Telema is lured into. Spurred by desperation and pulled by the allure of immense riches, Bruce plunges into this dark abyss of betrayal and destruction, striking illicit million dollar deals and battling security forces and rival militants. But steadily, even as he outruns poverty and gains a fearsome reputation in the oil cabal, death, karma and the law stay close on his heels. 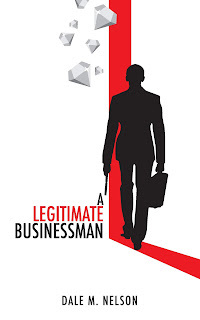 Lawrence Amaeshi writes prose fiction and non-fiction. 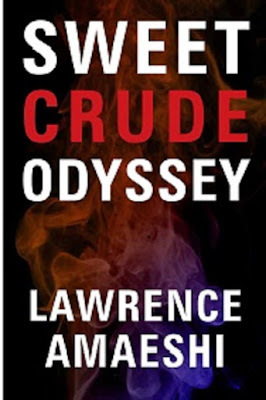 His first novel, Sweet Crude Odyssey, was published under the Prestige label of Kachifo Ltd. His book has been featured on Vanguard, Kirkus, Clarion, Creative Writing News, Reader’s View amongst other renowned literary review critics. He is rounding off a long-distance learning novel-writing course in Stanford University. He lives in Lagos with his wife and kids. He is working on his second novel.